Cream 10604073 Mandy Dress in velour with a feminine all-over print in lovely autumn colours with a V-neck and long sleeves. The dress has a feminine fit with plenty of stretch for comfort. 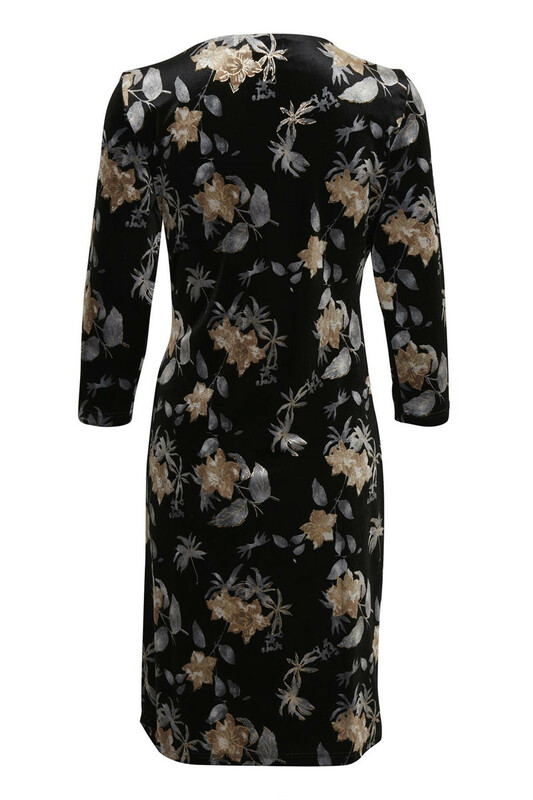 Wear the dress with a pair of tights and a pair of high heels for those autumn parties.